When Olivia Palermo recently stepped out wearing an extremely stylish Old Navy T-shirt, bringing back a brand we hadn't thought about in a while, we were curious as to what else this affordable retailer had in store for us. Much to our surprise, the store's shoe selection completely blew us out of the water. Filled with everything from statement summer sandals to pastel suede block heels, there was nothing not to love about the trendy assortment of footwear. Since finding elevated yet affordable shoes can be tricky, we feel like we just hit the shoe jackpot, and we couldn't wait to share the news with you. Keep reading to shop some of our favorite footwear from Old Navy right now! 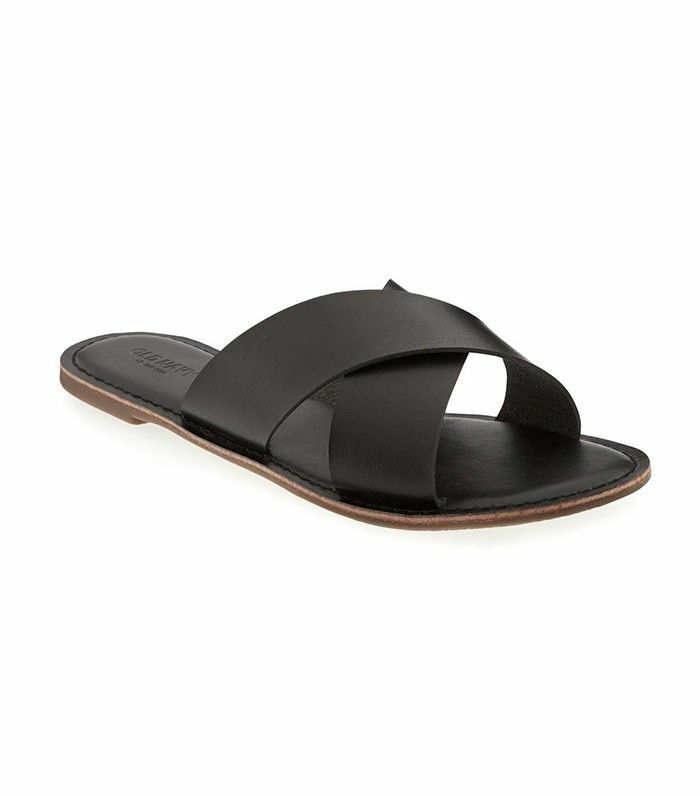 The perfect sandals to slide into as you're rushing out the door. How great would these look with a maxi dress? There is nothing not to love about these fringed slides. These espadrilles are begging for a vacation Instagram. Wear these sneakers with any summer dress. The subtlety of this gold color makes them extremely versatile. Comfortable (and cute) work flats. Brighten up your look with a pink shoe. Craving more affordable shopping? Here are the best 17 pieces at H&M right now.